We have a new kegerator and are back to serving Kombucha on tap. Of course the brew is from Lev Kilun. He crafts and brews his heirloom kombucha in a military kitchen on Treasure Island in the the San Francisco Bay. He was the winner of the 2015 Good Food Award, a national celebration of foods across five regions of the country that are tasty, authentic, and responsibly produced. 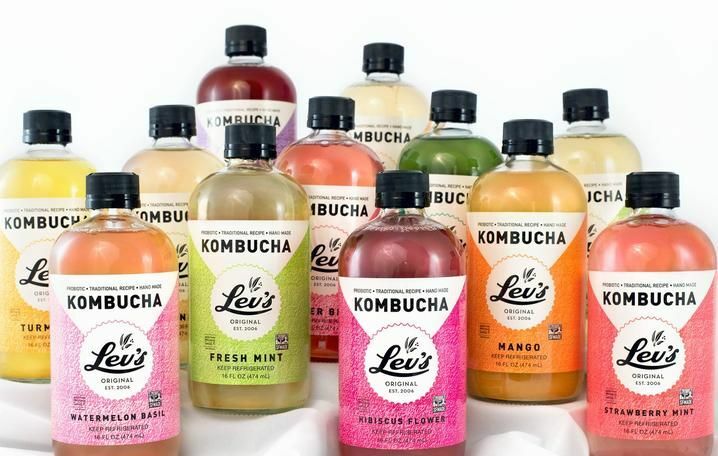 Lev brews Kombucha from the world’s best whole leaf green tea. His Kombucha is 100% raw, low in sugar and loaded with beneficial amino-acids. He brews in small batches according to his old family recipe. Using modern technology and fermentation science his Kombucha is guaranteed 100% Probiotic. ...something new I tried with Lev's Watermelon Basil flavor, which by the way is delicious. I have a tub of Solgar's Whey to Go cross flow micro-filtered Chocolate whey protein powder on hand. Being experimental, tried adding one scoop of protein to a half glass of the Kombucha. What a treat! It mixed beautifully, foamed up and filled the glass with frothy cold effervescent chocolate smoothie like consistency with basil and kombucha overtones. Seems the Kombucha enjoyed it as much as I did!